Boating season is almost here! Or, depending on where you live, it's always boating season! If you own a vacation home complete with a boat, you'll want to make sure you outfit your vessel with the hottest gadgets this year. From 3D fish finders to boat stabilizers to a grill made to hook onto your boat rails, these 7 boat gadgets are sure to make boating a breeze this summer. Treat yourself to one (or more!) of these awesome boating gadgets for the upcoming boating seasons. Update your marina electrical equipment or choose something to make boating more fun. Whether you're a fisher or not, there's something for everyone. Sometimes you just need a little shade while you're out on the water. One of these portable boat seat umbrellas can attach anywhere you want on the boat to give you some shade. Want to take a nap on the back of the boat? Attach this guy to the back and enjoy a nap in the shade. If you get caught on the water in the rain, it can protect you from raindrops too. Use your bat seat umbrella and your portable hammock to take the ultimate boat nap. 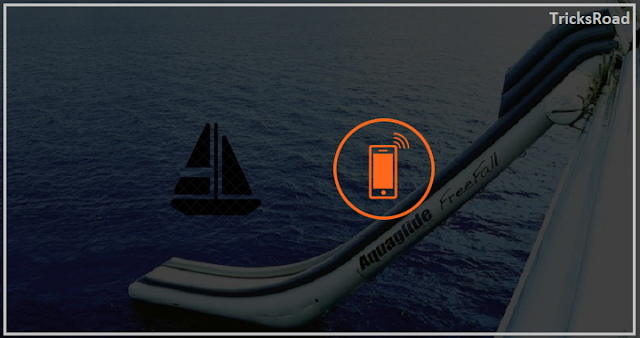 A portable hammock that attaches to poles, masts, or rails on your boat is the ultimate relaxation spot. You can get one made out of parachute fabric, which is super strong, quick drying, and mildew-resistant. Fold it up and stash it away when you're done and it takes up hardly any space at all. Waterproof dry bags keep all of your important things safe and dry. Phones, towels, your wallet, extra clothes, you name it. Throw it in the dry bag to make sure it stays that way. These are especially helpful if you're throwing down the anchor to wade into the beach. Mount your bar caddy onto the boat rails to keep all of your mixers, beverages, and bar supplies close by and contained. It keeps everything from sliding around or toppling over and folds flat for easy storage when you're done. Make some drinks while you're firing up your boat grill! This special grill is made to mount on your boat rails and comes with marine-grade stainless steel brackets. The lid locks in place and it also comes with a mount for the propane tack. Floor space on a boat is at a premium, so don't waste it on a grill! Want to catch something to put on your boat grill? A 3D fish finder allows you to not only find fish but see exactly what you're catching. Not only can it help you become a better fisherman, but it's also really cool. If you want to see what's under the water but aren't into the mask and snorkel, a special body board might be the answer. A sea sled body board has an acrylic window that you look through as you float along. It lets you see everything under the water without a snorkel or mask. What's On Your List of Best Boat Gadgets? Which of these awesome boat gadgets are on your wish list? One of these cool gadgets is sure to be something you must add to your boat.